What Price Hollywood? 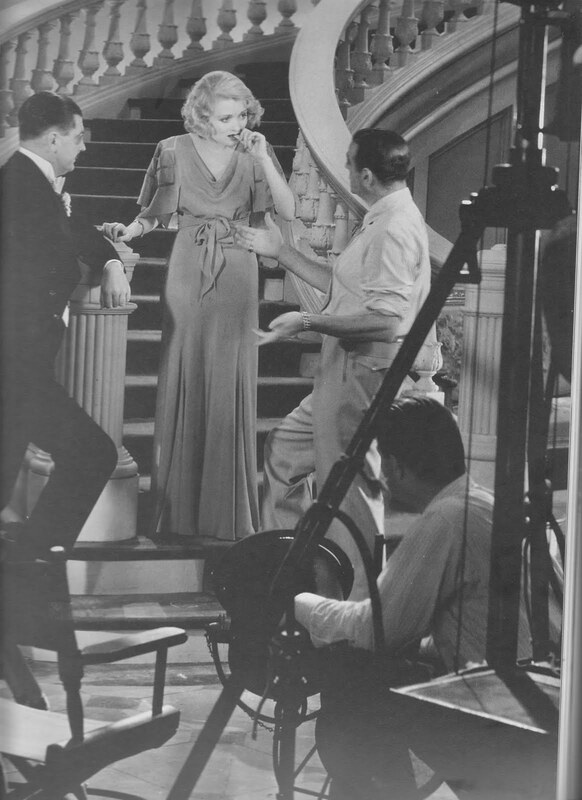 – An early version of the A Star is Born formula, directed by George Cukor (who would remake William Wellman’s original Star in the 50s) and starring Constance Bennett as the girl who talks her way into an acting gig, becomes a big star and suffers the consequences. Lowell Sherman is occasionally quite good as the drunken director who gives her a shot. Filled with cool little inside-Hollywood details, in particular Bennett working all night to perfect her first line reading is a nice demonstration of the art of acting and just how hard it really is. For a great in-depth look at the film, check out the always awesome The Self-Styled Siren. The #12 film of 1932. Theodora Goes Wild – Irene Dunne stars as the daughter of the most powerful family in a small New England town dominated by a cabal of repressed old ladies. She is also the anonymous author of a scandalous romance novel, one that every woman in town reads in private and denounces in public. 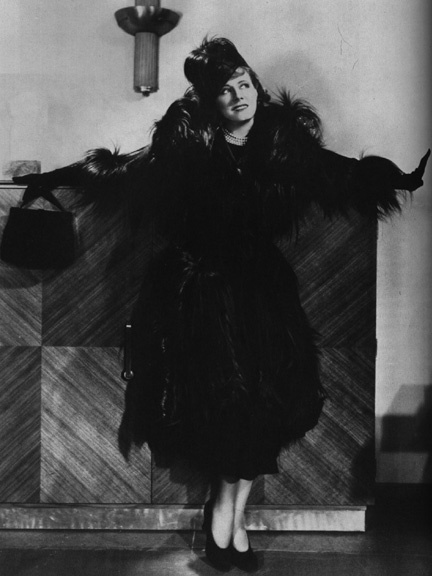 Melvyn Douglas discovers her true identity and tries to get her to expose herself and publicly rebel. The plot gets more dizzying from there, with more personae for Dunne and Douglas, a teenage pregnancy and a visit from the governor. Less a hysterical screwball comedy than it is a fascinatingly complex one, its array of masked identities and social critiques are brilliantly discussed in James Harvey’s Romantic Comedy in Hollywood. Dunne is terrific and Douglas is as serviceable as ever: he’s basically just a blander Don Ameche. The #7 film of 1936. Japanese Girls at the Harbor – I spent much of the time watching this silent film trying to figure out the plot, not because it’s complicated (it isn’t at all) but because it’s so beautifully composed that I found myself still thinking about the images when I should have been reading the title cards. It’s one of the prettiest films I’ve ever seen, classically Japanese and wholly different in look from the other film by director Hiroshi Shimizu I’ve seen (Mr. Thank You, which I’ll get to in a later Roundup). The plot, as much as I could piece together, that is, concerns two girls, one of whom starts dating a low-level gangster. When they catch the gangster cheating, one girl shoots the cheatee and runs off to become a prostitute. Years later she meets the gangster again, who has now married her former friend. 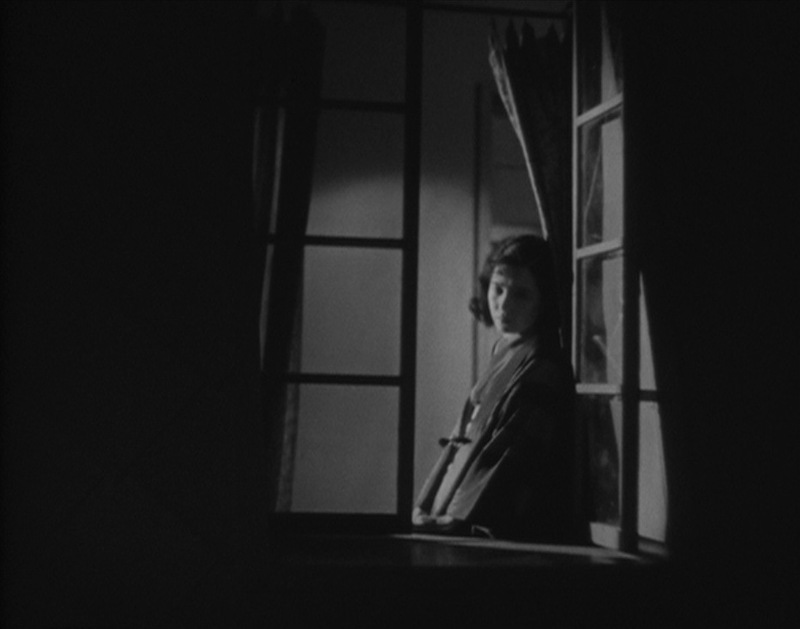 To be reductive, you could say it combines the best elements of Ozu (formal composition) with a Mizoguchi plot (prostitutes!) while expressing both directors humanistic generosity. But it’s better than any of the 1930s films I’ve seen from either of those two greats. As elemental as Sunrise or The Docks of New York, it immediately joins those two among my favorite silent films. The #2 film of 1933. 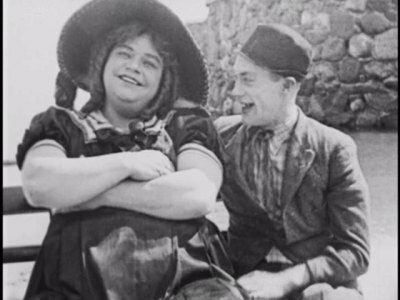 Coney Island – A Fatty Arbuckle-Buster Keaton short that does about all you can with the “fat guy in a tight dress” comedy premise. It’s has some fun playing with gender roles, I guess, but mostly it’s only notable for the pre-star performance of Keaton, who steals the show. The #3 film of 1917. 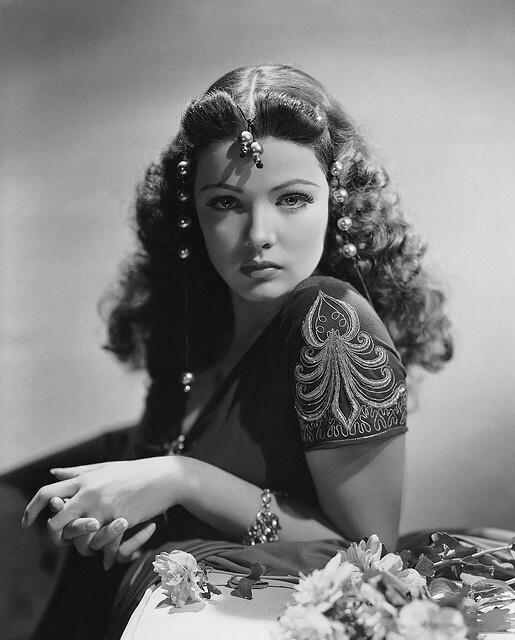 Sundown – I managed to tivo a half dozen or so Gene Tierney movies during TCM’s Gene Tierney Day in August (shouldn’t every day be Gene Tierney Day?) and this is the first. It’s a throughly entertaining Henry Hathaway African Adventure movie, if you can call a film that appears to have been made on three sets an adventure film. Tierney plays the daughter of a trader who gets mixed up in a branch of World War II in East Africa with Brits fighting Nazis (both sides want to arm the Masai, or something). Bruce Cabot’s the star of the film, the leader of the English outpost possessed of a charmingly British benevolent imperialist point of view (think David Farrar in Black Narcissus). George Sanders plays his by-the-book superior and Harry Carey plays a craggly hunter. The #16 film of 1941. 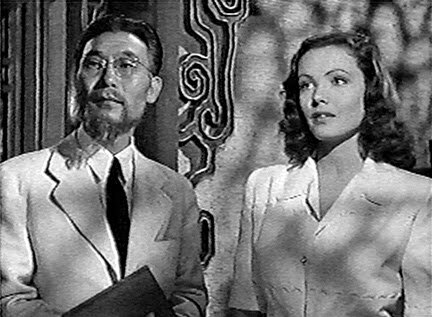 China Girl – The next in the Tierney marathon (which will continue in future Roundups), this time she plays a half Chinese girl who bewitches George Montgomery’s dashing photojournalist in another Henry Hathaway World War II film. Montgomery’s trying to cover the Japanese invasion of China, Tierney’s trying to help her dad talk about peace and teach children English, and Victor McLaglen and Lynn Bari are Japanese agents (but not actually Japanese, to be clear) trying to either co-opt or kill Montgomery. And the 9-year old Robert Blake (that really creepy guy from Lost Highway) plays Montgomery’s child guide. The screenplay by Ben Hecht is tight, this is one of those films Spielberg and Lucas and Kasdan must have been thinking of when they wrote Raiders of the Lost Ark. The #11 film of 1942. Petulia – I don’t know much about Richard Lester. He directed some wacky comedies in Britain in the 1960s (A Hard Day’s Night is the only one I’ve seen) and he directed the middle two Christopher Reeve Superman films. He also directed my mom’s favorite Three Musketeers film. None of that is helpful preparation for this film, which feels like a culmination of 60s cinema. Like Blow-Up, it’s an art movie set in a pop world, but unlike Antonioni’s film, it adopts a free-wheeling candy-colored style that owes a lot to Godard but that Lester had used in A Hard Day’s Night as well. It also features some quick associational cuts that immediately reminded me of Nicolas Roeg, who I was pleased to find out was this film’s cinematographer. Plotwise, it’s plays like a sequel to Breakfast at Tiffany’s, with Julie Christie’s title character playing the manic pixie of divorced doctor George C. Scott’s dreams. Christie, though, is married to Richard Chamberlin’s handsome rich guy who is also, of course, totally evil. 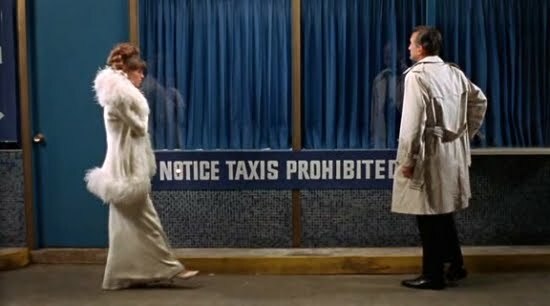 Where Blake Edwards’s Tiffany’s film edited out all the darkness from the book, Lester manages to balance the whimsy with a whole lot of darkness, and the film is all the more heart-breaking for it. The road from this to Superman III has to be a great story. The #6 film of 1968. 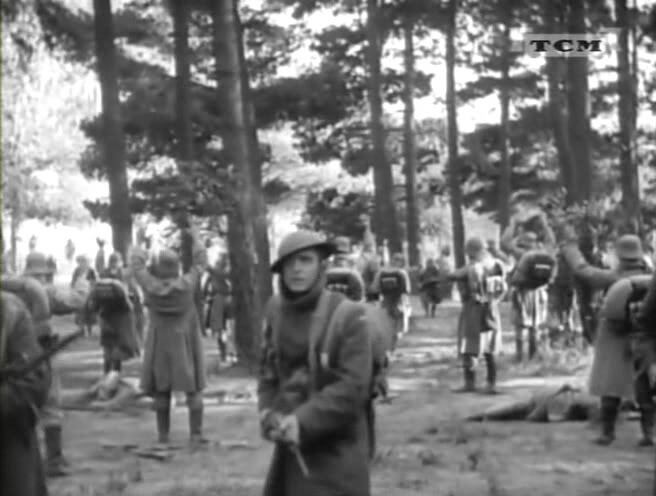 The Big Parade – King Vidor’s World War I epic was one of the most successful films of the silent era. It stars John Gilbert, most famous for his pairings with Greta Garbo and his squeaky-voiced failure to transition to talking pictures (which may very well be a myth). Gilbert plays a rich guy who signs up for the war, makes friends with a bartender and construction worker, falls in love with a French girl and goes to the trenches. The battle sequences are terrific, as harrowing and horrifying as anything we see now, almost 100 years later (The Pacific, for example, may be more graphically violent, but the emotional devastation isn’t any more real). It’s easy to see why Gilbert was so popular: he’s totally charming and graceful in the comic sequences and very moving in the dramatic. I can’t say he looks like he should have a very deep voice though. The #2 film of 1925. The Phenix City Story – Reputed to be Phil Karlson’s B movie masterpiece, and I’m not going to disagree with that. It’s a recreation of the fight against corruption in a small Alabama town (seems the local military base uses the town as a rec center, replete with gambling halls and prostitutes) that opens with a lengthy news report on the reality of what we’re about to see, featuring interviews with local citizens. 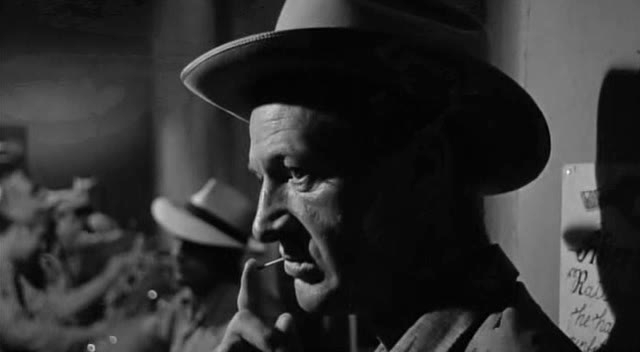 The noirish documentary style is a pulpier version of the procedurals of the late 40s (Jules Dassin’s The Naked City, Anthony Mann’s T-Men, which also features a documentary opening sequence, as I recall), but with the nastiness of late 50s noir (Kiss Me Deadly, various Samuel Fuller films). More than those films, though, Karlson creates a palpable sense of a real community, albeit one dramatically at war with itself. Not the least interesting thing about the film is the way it obliquely deals with race: one of the heroes is black, and his daughter is one of the gangster’s victims. The parallels between the criminal gang running the town and the KKK gangsterism of the era (which would become famous a decade later during the peak of the Civil Rights movement) are inescapable, but Karlson never draws attention to the issue. The equation of mob to mob is made elegantly and inarguably. The #7 film of 1955. The Black Swan – The first part of a TCM-enabled Maureen O’Hara Pirate Movie Double Feature (the second part being a rewatch of Frank Borzage’s The Spanish Main, which I enjoyed a lot more the second time around). 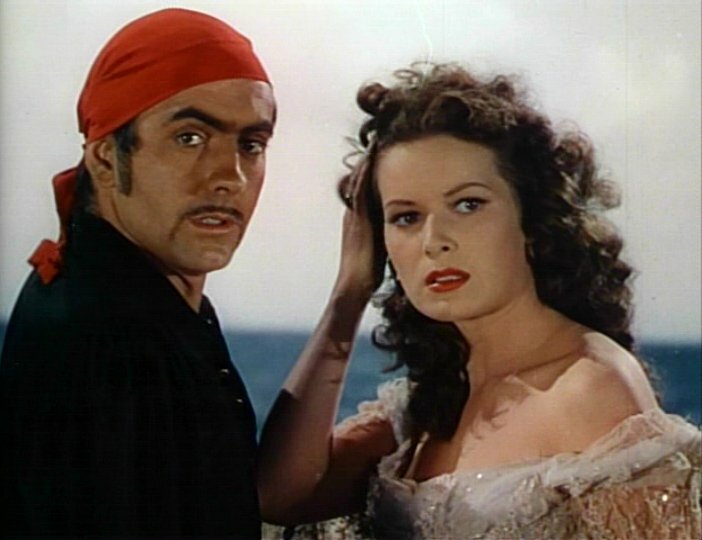 Tyrone Power stars as a pirate who goes straight when his boss Captain Morgan (Laird Cregar) becomes the legitimate governor of Jamaica. Not that that helps him much in his romance with O’Hara, the former governor’s hot daughter. Villainy comes in the form of an absurdly red-haired and -bearded George Sanders, a pirate who refuses to sell out to the man. Thomas Mitchell and Anthony Quinn also star in what adds up to a whole lot of fun, much more so than the other adaptation of a Rafael Sabatini novel I’ve seen, 1935’s Captain Blood (despite that film’s memorable combination of Errol Flynn, Basil Rathbone, Olivia DeHaviland and Michael Curtiz, for most of its run it’s boring as hell), for which I’m going to credit screenwriter Ben Hecht. O’Hara and Sanders are as wonderful as ever here, and Power is at his Clooneyest. The #12 film of 1942.